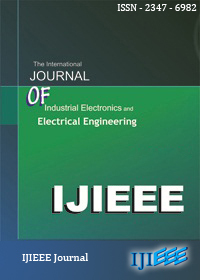 In this paper, standard internal model controller(IMC) design is presented. IMC method is implemented by taking Permanent magnet synchronous motor (PMSM) drive under vector control framework as an example. As IMC controller design mainly depends on model of the plant, a first order model of PMSM is designed by studying the relationship between speed and reference quadrature axis current. Standard IMC controller is designed for speed regulation of PMSM. 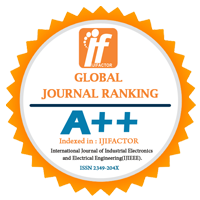 Second, to overcome the disadvantages of standard IMC method i.e. it may give poor tracking and load disturbance performance and is sensitive to the control input saturation, a modified IMC scheme is presented, based on two-port IMC method. In modified IMC scheme,a composite control structure is formed by adding a feedback control term. It improves tracking and load disturbance rejection property by compensating the effect of control input saturation. Third, to compensate effect of time delay, present in real time system, IMC based PID controller is designed. IMC method is used as tuning method for conventional PID. Effectiveness of proposed methods has been proved by Matlab simulation results. Keywords- control input saturation, dead time compensation, disturbance rejection, PMSM, standard and modified internal model control, tracking.